Are you looking for a suitable 44-inch large format inkjet printer for the production of high-end CAD and GIS documents, presentations and outdoor posters, combining formidable printing efficiency and impeccable quality with robust security and a low overall cost of ownership? In that case, you may just be interested in the Canon ImagePROGRAF TX-4000 printer that we are delighted to be able to offer at a very reasonable price. 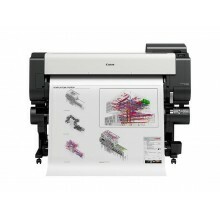 The 44” TX-4000 is just one member of a wider family of Canon TX Series large format printers that also includes the TX-2000 for printing in A1 size, as well as the TX-3000 for the production of the highest quality A0 prints. Whichever variant of this acclaimed large format inkjet printer your organisation opts for, you will be able to benefit from the machine’s use of roll media with easy media loading and cut sheet media, as well as an accompanying floor stand and paper collection basket. Other highlights of all Canon TX Series printers include the presence of a Network, USB & Wireless interface, together with Matte Black (330ml), Black, Cyan, Magenta and Yellow (160ml) pigment cartridges producing bright, vibrant and waterproof inks. As for the print speed, you can expect a very impressive 24 seconds for the production of A1 documents, CAD drawings and posters alike. Available options for the TX-3000 and TX-4000 models include a scanner that enables you to create a truly multi-functional device for printing, copying and scanning, while a dual roll feed unit is also an option for roll media auto switch. Every Canon TX Series large format inkjet printer in our range also comes with a one-year onsite warranty with upgrade options, and can even be supplied on an eService Ink Inclusive Service Contract. What else makes the TX-4000 stand out from the competition? Whatever your priorities are when you are looking to purchase a large format inkjet printer, it is likely that the Canon ImagePROGRAF TX-4000 will be able to cater to them. This model’s enviable efficiency, for instance, is ensured in large part by its 1.07-inch print head and continuous output capability. The LUCIA TD ink that the TX-4000 uses is another key reason to choose this printer, as this advanced ink makes for low running costs and enhanced weather resistance. 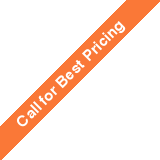 It also produces fine lines and sharp text – even on cheaper uncoated paper. Alternatively, you may be most attracted to the TX-4000 by its 2GB memory and 500GB encrypted hard drive. While we’re on the subject of this printer’s solid security credentials, you can be given further peace of mind in this regard by its secure disk erasure, data transmission encryption and strong passwords. Despite being a large-format unit, the TX-4000 is also compact and slim enough to fit seamlessly into smaller workplaces. Its convenience of use is further maximised by its easy roll loading, versatile stacking options and touchscreen. Finally, many users of the TX-4000 are also sure to be delighted by its innovative software. An AutoCAD-optimised printer driver and a configuration tool enabling you to adjust printing for specific media will be instrumental in giving your organisation the best possible results. You can learn much more about the TX-4000’s complete specifications simply by visiting the relevant product page here at Prizma Graphics. Bear in mind, too, that when you buy this large format inkjet printer from us, we will be pleased to deliver it for free to any ground-floor premises, and will throw in a free roll of 90gsm plotter paper, too. That represents quite the package when the need arises for your organisation to invest in a new large format inkjet printer from a reputable brand, and that it can truly rely on for years to come.